We feature some of the best and most creative projects with great ideas on crowdfunding marketing and promotion. Check out the crowdfunding campaign reviews or add a review of your campaign. Crowdfunding has opened up a new world of small business funding and fundraising but it's not easy. 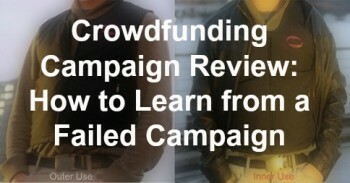 Check out these campaign reviews for some great projects and ideas on crowdfunding marketing. I talk to campaigns constantly about their fundraising ideas and crowdfunding promotion. The campaigns below have offered their experience so your campaign will be a success. 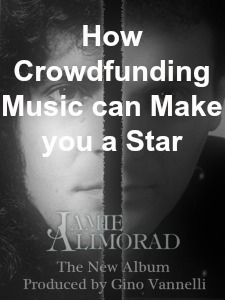 Rockstar Jamie Alimorad provides one of the best campaign reviews yet with some great insight into what has made his crowdfunding music campaign a success. Jamie is really bringing in his network of fans to produce a third album with a legendary producer. Scott Anderson is completing his second Kickstarter campaign, The Cutting Four-piece using the information he learned from a previous campaign. The book is a hard-hitting look about the link between prison culture, overcrowding and crime on the streets. 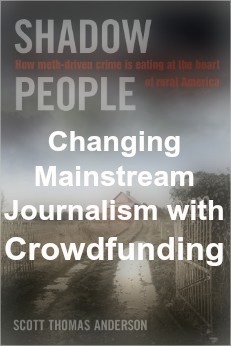 The campaign really shows how crowdfunding is helping to change journalism by severing the dependence of journalists and writers on editors. Sarah Mensah is the co-founder of Copertura Label and an Indiegogo campaign for the Heated Vest, an innovative vest with six adjustable heating pads that can be under regular clothes or as a traditional vest. Sarah talks about a previous campaign that failed to meet its goal and how she learned from mistakes made. The post offers some great ideas on choosing the right crowdfunding platform and promoting your campaign through conferences. Check out projects that were featured on our blog and successfully met their target. To date, 100% of the projects we've reviewed on the site have been successfully funded. Luciana Scarabello of NBC's Fashion Star merges fitness with fashion to create a new stylish activewear line with her Track and Bliss campaign. Through her campaign, she’s pre-selling items from the Spring 2015 collection at a discounted price to raise money for Track & Bliss's first production. Reached funding goal with $20,090 and 84 backers. 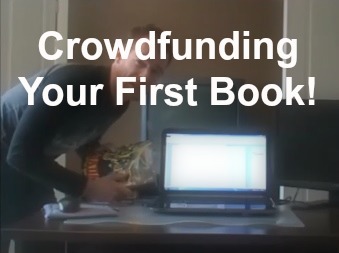 Want to beat your crowdfunding goal by 600%? Who ya gonna call? The team at Cryptozoic Entertainment is back with their second campaign crowdfunding games and looking to build on previous success. 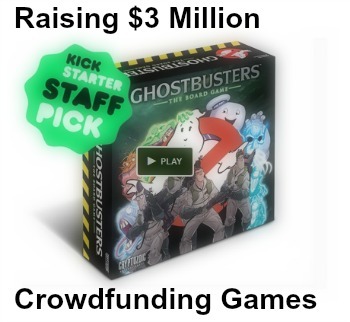 Great example of how to use stretch goals and add-on rewards to really beat your funding goal. Reached funding goal with $1.54 million and 8,394 backers! 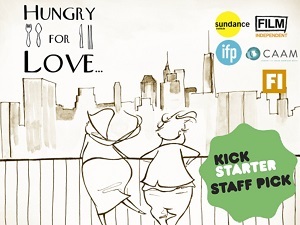 Currently on the Sundance curated Kickstarter page is Hungry for Love, a culinary love story directed by Justin Ambrosino. I interviewed the film's producer, Soojin Chung, about how they were using crowdfunding to help draw top quality talent for the film. Reached funding goal with $60,642 and 492 backers. 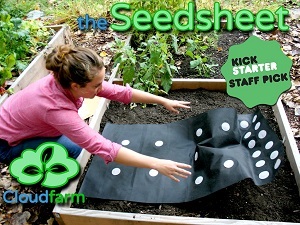 Crowdfunding an agriculture project. Cam MacKugler revealed some great tips on how to build community in your campaign and his inspiration for a seedsheet and custom agriculture solution for everyone. Reached funding goal with $30,664 and 325 backers. Jake Matthews closed his second successful crowdfunding campaign for Change-Magazine, a student magazine that promotes intercollegiate discourse on social and political issues. In our post, Jake shared a lot of the things he learned from the first campaign and how he used crowdfunding for more than just raising money. Reached funding goal with $709 and 22 backers. Rennik is managing one of the best run crowdfunding campaigns I've seen with a great video that really makes use of sight and script. His Forced Change Kickstarter campaign is for a feature documentary on which he's already spent 10 years producing. Reached funding goal with $34,547 and 313 backers. Liam combines his three great interests; superhero comics, sci-fi and making a fool of himself in his Kickstarter campaign for the first book in his series: In a Galaxy Far, Far Awry: A Superhero Comedy. He shares the six steps he went through in crowdfunding including researching other projects and outreach. Reached funding goal with $2,834 and 55 backers. 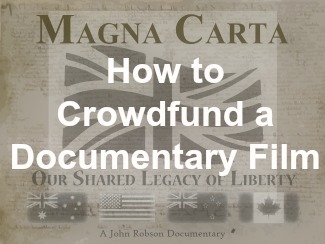 Documentary film-making is one of the biggest beneficiaries of the crowdfunding movement. This documentary crowdfunding campaign showed great use of an existing journalist network and just how far it can go. Reached funding goal with $85,870 and 1,222 backers. If you're looking for more suggested platforms, check out this ultimate list of crowdfunding and fundraising websites.